Oil Prices start at $650. 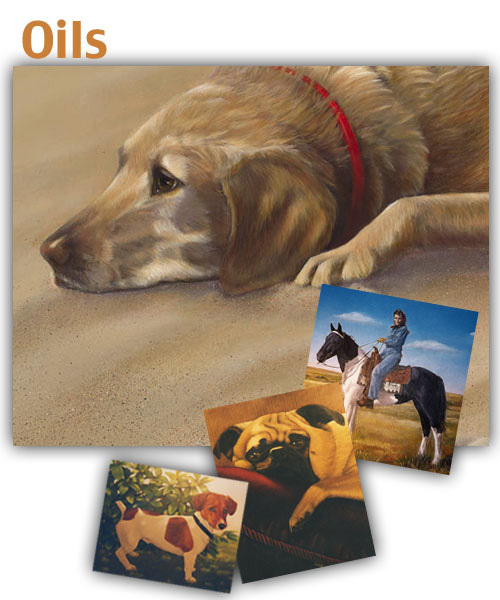 Thinking about having a portrait done of your pet? It's easy! I work from photos -- and need lots of good ones. It usually takes a while so plan ahead of time for presents. Just email or call and we'll get you started!